If there was one thing that stood out from Orange is the New Black Season 3, it was the introduction of Ruby Rose, the Australian model turned Litchfield inmate who captured both Piper and Tumblr's hearts. But what has Ruby Rose done besides Orange Is The New Black ? Even though it may have seemed as though Jenji Kohan plucked her out of nowhere, Rose has been busy with many other projects for years now, and she isn't planning to stop — she's hosting the MTV European Music Awards alongside Ed Sheeran on Oct. 25, so she's already working on her next gig. Rose is a great choice for co-host with Sheeran, because outwardly, they could not be more different. Sheeran sings sappy love songs and has teens writing his name on notebooks with hearts around it (well, the online equivalent), while Rose comes from an award-winning TV series and DJs EDM in city clubs. But even though Rose is known for being incredibly cool, she's been through may different looks and multiple careers. Still, she has always stayed true to who she is. Here's what you should know about Rose's career, besides her star-turn on OINTB. Rose started her career in her teens, modeling in her native Australia after entering a contest in Girlfriend magazine, as reported by BuzzFeed. She booked a gig as a makeup spokesperson for Maybelline. After she rose to prominence as a model, Ruby Rose became a VJ, developing her screen presence and even documenting one of her tattoos on MTV. Rose's acting career started in Australia as well, in comedy Suite for Fleur. It's a strange, goofy looking movie, but it's what you have to thank for her performance on OITNB. Ed Sheeran won't be the only musician hosting the MTV EMAs. In addition to an actress and model, Rose is a DJ, and YourEDM reported that she signed to the label Connected Artists, also home to Avicii. Rose came out as gender fluid in her above short film, "Break Free," which expresses the complex feelings that come with non-conforming gender identities. She's embraced her role as an ambassador for those who didn't understand the concept and a role model for the many gender fluid and androgynous people out there who felt like they had no one to look up to, speaking at length to Elle about what the term gender fluid means to her. 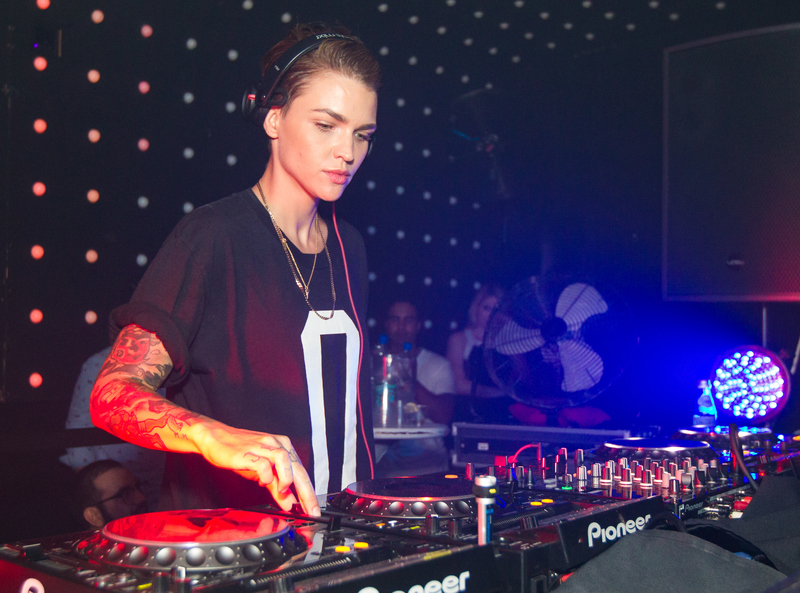 In a way, through her openness, Ruby Rose's real life has been her most significant project.